In the suburb of Erasmuskloof, southeast of Pretoria, lies the sleek, modernist building of the State Information Technology Agency, known as Sita. This agency is the government’s service provider for all IT services or, as those watching the comings and goings of officials over the past year would probably call it, the government’s Siberia. This is where the men and women who run government departments — the directors-general — are exiled to when they fall out with their ministers. Stay long enough, do relatively menial tasks while still getting paid over R1,5m/year, and you will be rewarded. Then there is former water affairs director-general Maxwell Sirenya, who was suspended just one year into his tenure for refusing to sign an IT contract that he said flouted Sita and treasury regulations. The government has long had a problem with the relationship between directors-general and their ministers. In the past five years, the damaging and costly churn at the top of government departments has reached alarming proportions. Twenty-eight heads of department in the past five years did not see out their full terms. The list of those not working this year grew to include basic education’s Bobby Soobrayan, the department of energy’s Nelisiwe Magubane, labour’s Nkosinathi Nhleko, and Moyane and Sirenya — against most of whom there is scant evidence of wrongdoing, but who were ousted early nonetheless. Previously, they would have been left to sit at home earning between R1,57m and R1,77m a year, according to public service and administration department figures for this year, until they were redeployed — most likely after elections, when a new cabinet provided new opportunities. For some, like Sirenya, suspended in February last year after serving a year, that has meant over one year of sitting idle while pocketing more than R1,5m. Molewa repeatedly blocked moves for him to be deployed elsewhere to earn his keep, according to documents. But it seems the previous public service minister, Lindiwe Sisulu, hit on an idea to put the top officials’ skills to work — nominally, at least. Sisulu has earned a reputation as a proactive manager who has actively championed unfairly ousted directors-general, many of them said. 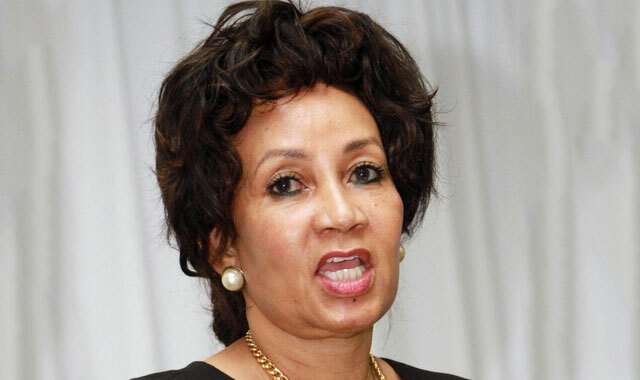 At first, Sisulu set up an office of standards and compliance within her department. Her vision was to invite retired and out-of-work directors-general to contribute their skills to strengthen the public service. In a letter to Sirenya in May last year, after his suspension, Sisulu invited him to join her to “assist in the work being done to establish and capacitate the office of standards and compliance, which has been established to effect the transformation in public administration that is necessary to achieve government’s vision as outlined in the National Development Plan”. Police minister Nkosinathi Nhleko confirmed that he had spent some time in the office in question before his promotion to the new cabinet. Nhleko was ousted as labour director-general when he pushed ahead with a forensic investigation into a labour department compensation fund, against the wishes of then minister Mildred Oliphant. Just before the elections in May this year, Sisulu approached the ANC’s head of deployment, Cyril Ramaphosa, with the idea of sending out-of-work directors-general to Sita. At the time, the agency was facing a number of investigations into tender irregularities by the Special Investigating Unit as well as allegations of poor leadership. 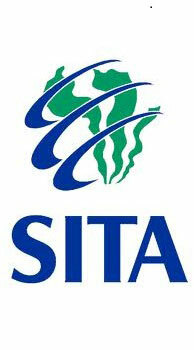 Until May, Sita fell under the public service department. It now falls under telecommunications and postal services minister Siyabonga Cwele. Those who stuck it out were rewarded. Moyane told newspapers after his appointment this week that he played an advisory role to Sita’s chief executive that related to the turnaround strategy of the troubled agency, while Sirenya said he worked in infrastructure service delivery and other “floating” directors-general worked in areas such as procurement and human resources. Or, as the new public service and administration minister allegedly put it, according to one source, when he discovered that Sita had become a holding area for out-of-work directors-general: they were little more than refugees. Sisulu’s spokesman, Ndivhuwo Mabaya, said this week the Public Administration Management Bill and the Public Service Act provides for this establishment of the office of compliance and standards, which he said has been a success. He said Sisulu saw it “fit to strengthen the management team of Sita with experienced people”, in consultation with Sita’s board. He could not comment that some directors-general had done very little work, without having their names and positions at Sita. I know of another place where useless cadres are sent. It’s called parliament. Yes, and they become what is called back-benchers. All they do is vote in favour of what Mandashe tells them to vote. In between the parliamentary vote, all they do is just become house slaves for Zuma and clap hands each time he speaks, even if he speaks rubbish. The other places where government deadwoods are sent to is Rand Water, City Power, Eskom and SANRAL.